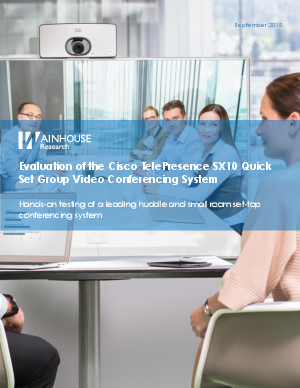 In the last few months, WR has observed that the SX10 has found its way into offices and small meeting rooms of many of our enterprise consulting clients. In some cases, the SX10 was the first Cisco video product ever installed in those environments. This prompted us to take a closer look at this system.